Shack Shine can help handle any of those exterior house detailing services you need in Minneapolis. Let our exterior house cleaning experts in Minneapolis have your home looking positively shiny in the “Mini Apple”, in no time! In one detailed visit, we’ll take care of all of the exterior grime and debris that’s impacting the way your home looks. Let’s not forget the windows. Our exterior house cleaning services include both interior and exterior window cleaning. We’ll ensure you can clearly see out of your windows no matter how hard they are to reach. Even better, we’re committed to getting the job done even if you’re not home. Power washing also known as pressure washing is one of the most effective ways for our team to clean concrete, vinyl siding, brick and other hard surfaces around your home. This method allows us to avoid the use of harmful chemicals, but still give your outdoor surfaces a like-new look in no time! Before we start the job, we’ll make sure to move any furniture necessary (and we’ll put it back after we’re done). When we get started, we’ll use the latest technology to ensure your home’s exterior is completely scrubbed. We do this using water-fed poles and pressure systems. This allows our team to provide a deep-down level of clean. House washing is an important step in house maintenance because it removes the packed in layers of grime and debris. Every home in Minneapolis is likely to experience some level of exterior grime like this because of the changing weather patterns. Our goal is to cleanse it all away to minimize deterioration of the structure. Most roofs in the community will experience a significant amount of grime and mildew buildup. It worsens as the summer sun heats it up and moisture builds. This damages your roofing and can lead to damage to the home’s structure. You can avoid that with our deep-down roof cleaning. We use pressure to clean off this grime and to restore your roof to a like-new look. You’ll love the way it looks as you drive up to your home. Be ready to have the brightest home on the block this holiday season. 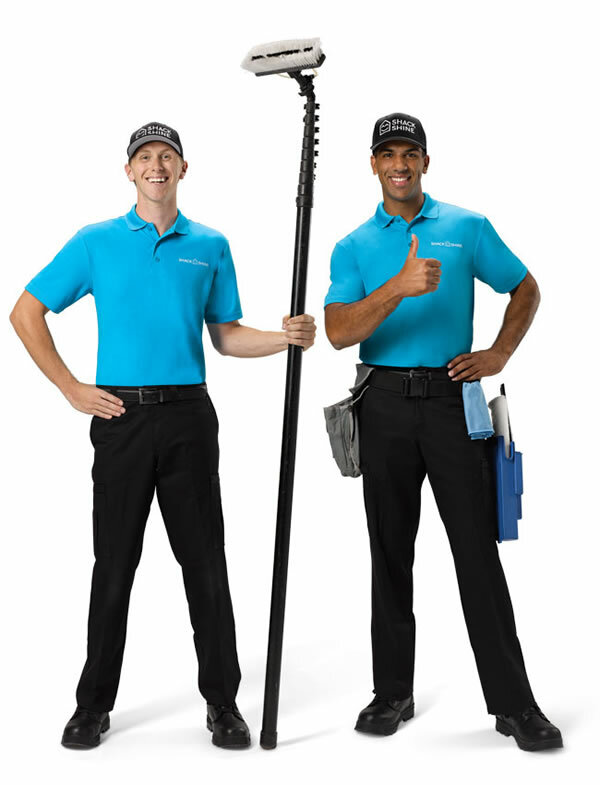 Outshine your neighbors with our help! Shack Shine Minneapolis location offers a Christmas light installation service, making it easier for you to get ready for the holidays. We offer high-quality commercial grade Christmas lights that are energy efficient. Everything is 100% customizable from the style to how it fits your roofline. To make it even more convenient for you, we’ll return to fix burnt out lights and do the takedown at the end of the season. Let us help you get into the holiday spirit and do the hard work for you, so you can sit back and watch the beauty once it`s done! 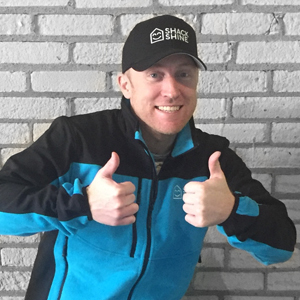 My name is Ben Cowan and I’m the owner of Shack Shine Minneapolis. I was born and raised in Saint Paul and currently live in Plymouth with my wife and three kids. I’m the proud owner of two other local and home service businesses named 1-800-GOT-JUNK? and You Move Me.